Knowledge is power. Test your general Knowledge! 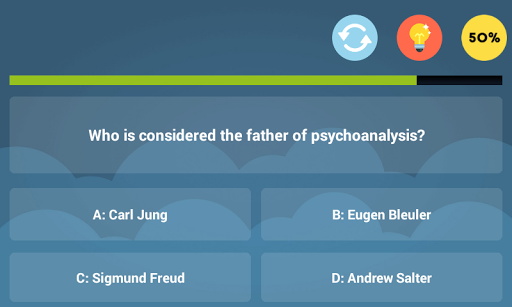 Eureka Quiz Game is a multiple choice social quiz. You can compare your knowledge with the rest of the world! From the creators of your favorite games, “Get Rich”, “Quiz of Knowledge” and “Educational Hangman” see our latest game: Eureka Quiz Game! 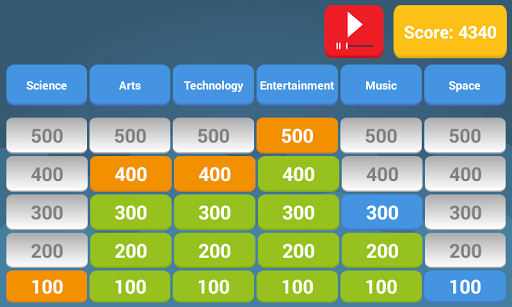 Eureka Quiz Game is the ultimate trivia quiz because it contains more than 5.000 questions that are developed by our team of educators. There are questions about Geography, Sports, mythology, celebrities and so on. There are questions for everyone! •Help from Archimedes: If it is a difficult question you can ask Archimedes to help you. •50%: With this hint, two wrong options are removed from the possible answers. 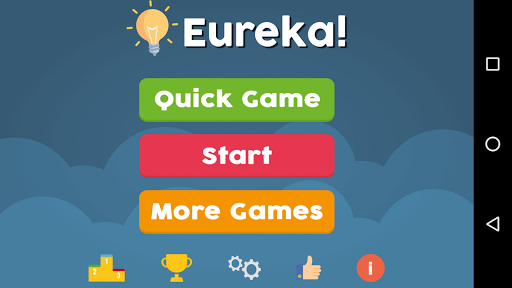 Unlike many other trivia games Eureka Quiz Game is playable offline anytime. Take it with you in the car, on the metro or play a quick game while you are waiting for the bus. If you want to compare your knowledge to that of other players, submit your high score to our online list. Improve your knowledge and track your progress by unlocking the in game achievements! Every player can add questions by simply submitting them via an in game submitter. After being reviewed they are going to be added to the database. Please send us any comments you have. Please help us make Eureka Quiz Game, the best free (forever) trivia quiz in the world! Thank you!